Patricia Barber vs Carmen Gomes of Audiophile V.S. vs Audiophile Nederland. 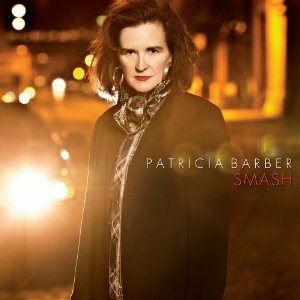 Ik was net het nieuwe album van Patricia Barber; ''Smash'' aan het luisteren: een heel erg mooi opgenomen album, typisch Patricia Barber veel ruimte voor de instrumenten in de liedjes. Ik heb daarna het hier in Nederland opgenomen album ''Thousand Shades of Blue'' van de Portugees/Nederlandse zangeres Carmen Gomes beluisterd. Tot mijn eigen verbazing vond ik die download van Carmen Gomes nog beter klinken dan de CD van Patricia Barber, veel warmer, en met een nog betere sound stage dan het toch zeer hoog aangeschreven Patricia Barber album. Ik heb meerdere downloads van het kleine Sound Liaison label, en ik vind deze heel goed klinken. Dat ze beter klinken dan Patricia Barber kwam als een verassing. Maar ok, "Smash" is een cd en 'Thousand shades of Blue" is een 24/96 studiomaster download ....Toch wel heel leuk dat Nederland echt mee doet in de audiofile wereld. Re: Patricia Barber vs Carmen Gomes of Audiophile V.S. vs Audiophile Nederland. 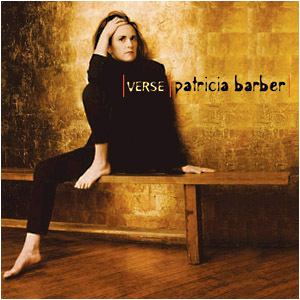 Mooi dat Patricia barber weer een nieuw album heeft uitgebracht, ik ga hem gauw beluisteren, en als hij bevalt ga ik hem ook kopen. Onkyo r-811 rds NAD C720BEE in opslag. De soundengineer van het album Smash is Jim anderson; niet de minste, dus is Frans de Rond een betere sound engineer dan Faber of is Carmen Gomes een betere zangeres dan Patricia .....of...? Nee, een lachebekje was vocaliste Carmen Gomez toch al nooit. Deze elf liedjes van verlies en verlangen hebben een introspectief, folksy karakter gemeen. Een lolletje is het allemaal niet. Dat geeft dit album een wat somber stempel. Dat mag. Dat moet: Gomez zingt de waarheid. 'You Don’t Know What Love Is' – dat zou je in dit verband als een manifest kunnen beschouwen. Haar mooie doorleefde stem heeft ook iets nasaals en daarmee iets ongrijpbaars, iets ambigus. And my new reference music now definitely includes the music from the Sound Liaison label. Sound Liaison are selling their own recordings,and is all done in house,recording,mixing,and even selling the music. the files are one to one copies of the Studio Master straight from the desk,and you can listen to the music before you buy which I find a big plus. 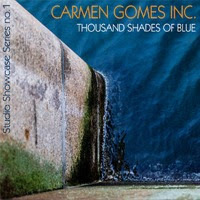 I have got the beautiful ´Thousand Shades of Blue´ from Carmen Gomes inc.
and ´Road to Memphis from Paul Berner Band. Great new album. This is the first track. Another highlight on the album is her cover of Little Girl Blue. And I like that she is a thinking artist. Just as on her previous albums, she has an theme which she builds the album on, that makes for a very coherent listening experience. Little Blue is a collection of songs that I feel strongly about. Songs of my youth that made an lingering impression and original compositions, some written a long time ago; some only recently. They all deal with topics of everyday life that keeps my mind occupied: the choices we make, how we define ourselves and how we deal with life in general. I was a reasonably happy but lonely kid. I felt myself an outsider, a bit different, maybe to a certain extend excluded. Making up for this, I locked myself in my room and listened to music, singing along with every song. I developed a taste for artists that were more ''deep''.... Nina Simone, Billie Holiday, Neil Young. There was something in their voices that touched me, some emotion that I recognized. I internalized all of Neil Young's lyrics; they made a huge impact on me and served as a heavy influence on the lyrics that I started writing myself. Billie's voice still tears me apart. Growing up, I came across songs that stuck with me. Holding Back the years and Brass in Pocket for example. I strongly related to the lyrics. I could almost smell them. Songs about love in all it's splendour and compassion. Songs about addiction, inequality and loneliness. Songs about the eternal search for an answer. I’m a grown woman now, a mother, experienced, but still searching. To sing a song I need to picture the story of the lyrics in my head; I have to feel them. If I can't feel them, I can't sing them. And how can I expect you to believe what I am singing if I don't feel it myself? So you can say that the songs on this album are very personal, very close.